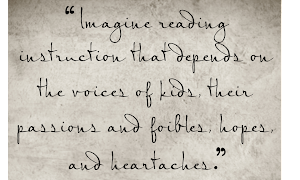 Hello Literacy Land Friends! 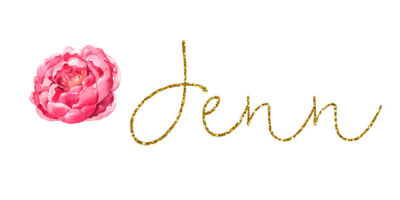 I’m Jenn from Reading in Room 11, and I am thrilled to be a guest blogger at Adventures in Literacy Land. I have been a K-5 Instructional Specialist for 12 years and I am excited to share one of my favorite intervention activities with you - chaining! Chaining is a sequence of words that can be built by changing one sound at a time. 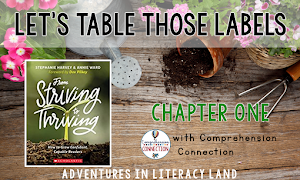 If you are a classroom teacher, chaining is a great warm up or word work activity before reading a book. 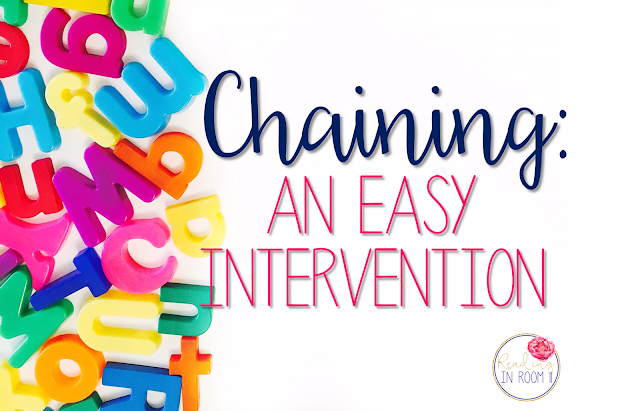 Chaining can also be incorporated into a specific intervention for students. One of the great things about chaining is that you can use a variety of materials. 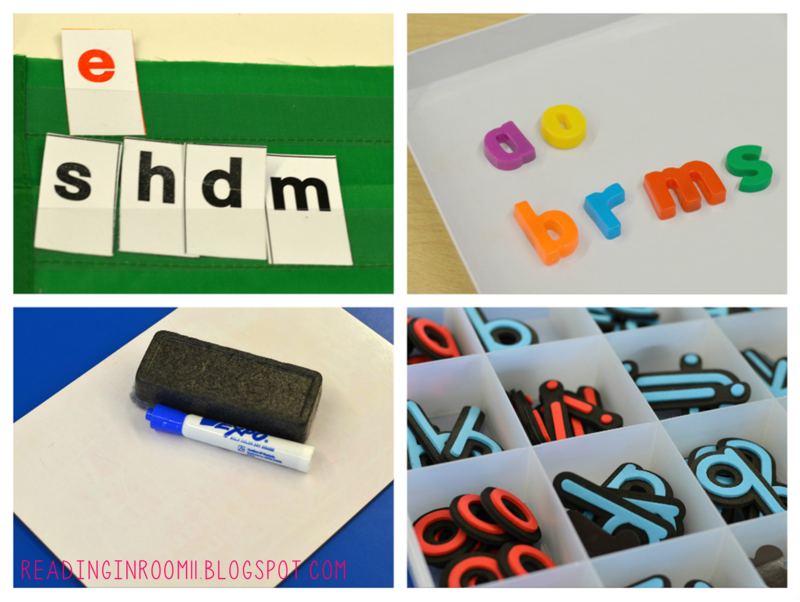 Some examples are white boards, magnetic letters, or cut up letters. My favorite are the blue and red letters seen below from Really Good Stuff. Choose the skill: The chains that you choose are dependent on your students and their needs. 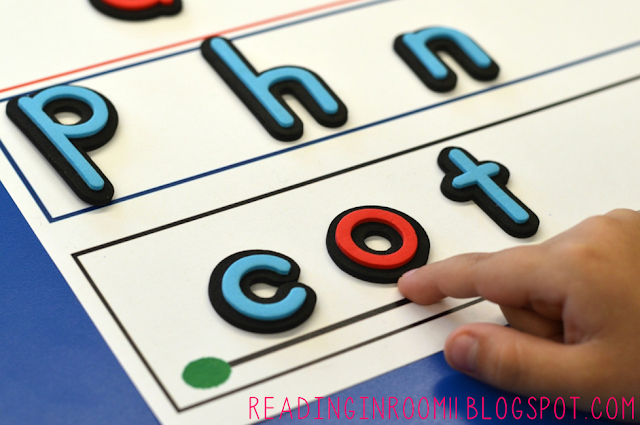 Ideally, the words in the chains will follow a specific pattern that students will find in the text that they are reading (ex. 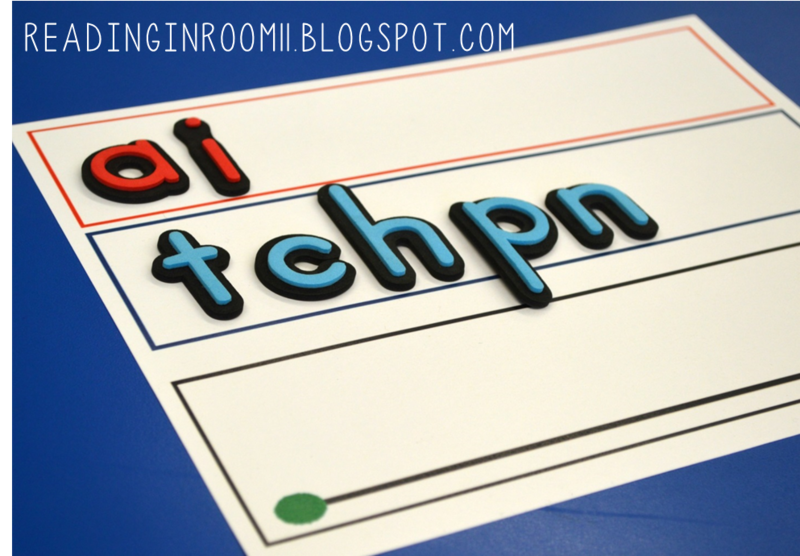 short a, digraphs, silent e words). 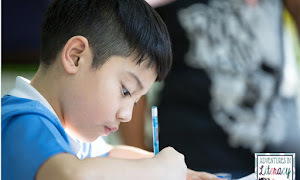 If you are using chaining as an intervention, then the pattern should be the student’s skill deficit. Once you have chosen the skill, gather your materials. 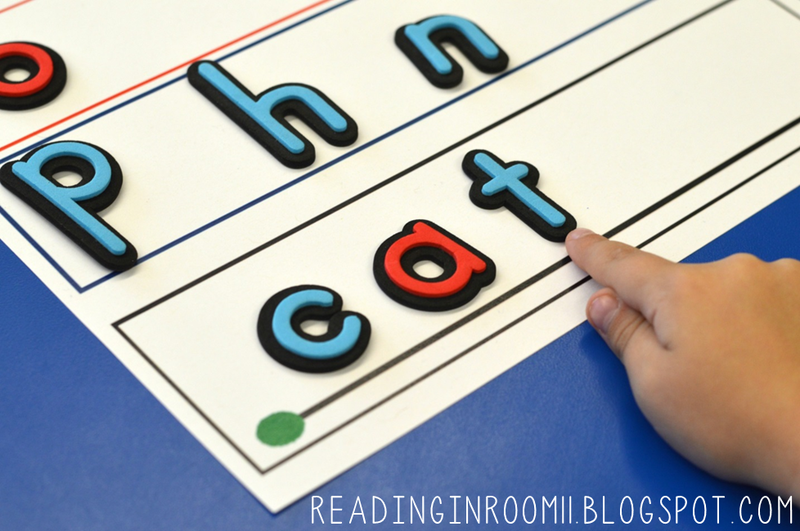 Tell the student to change a sound so that “cat” says “cot” and repeat step 2. Repeat these steps until you have done 7-10 word chains. When chaining, it is important to only change one sound/spelling at a time. There are three ways to change the word. 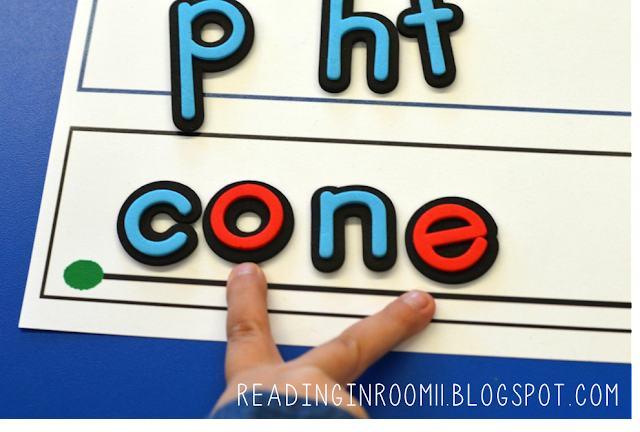 If you are working on long vowels with a silent e, below is a picture of a trick we use at my school when having students chain. It is a great cue that the vowel will need to say its name, and that the silent e does not make a sound. Thank you so much for stopping by! 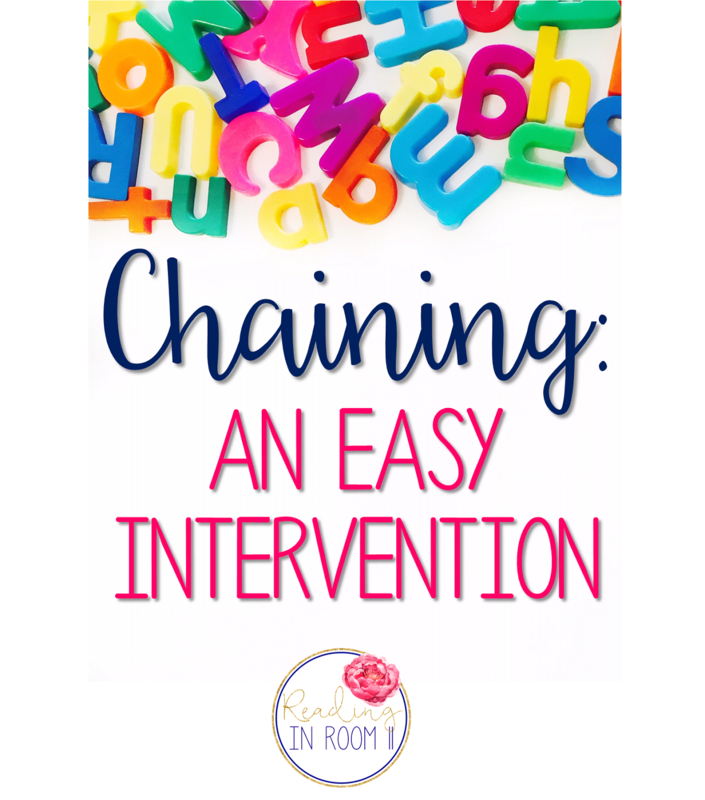 I hope that you area able to use chaining as an easy intervention with your students. Let me know in the comments if you have any questions!